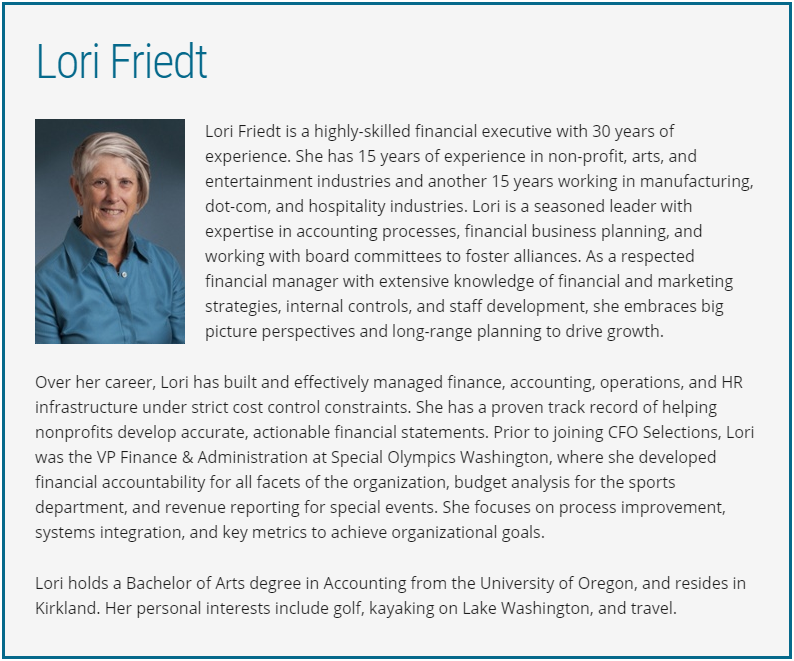 Lori Friedt is a highly-skilled financial executive with 30 years of experience. She has 15 years of experience in non-profit, arts, and entertainment industries and another 15 years working in manufacturing, dot-com, and hospitality industries. Lori is a seasoned leader with expertise in accounting processes, financial business planning, and working with board committees to foster alliances. As a respected financial manager with extensive knowledge of financial and marketing strategies, internal controls, and staff development, she embraces big picture perspectives and long-range planning to drive growth. Over her career, Lori has built and effectively managed finance, accounting, operations, and HR infrastructure under strict cost control constraints. She has a proven track record of helping nonprofits develop accurate, actionable financial statements. Prior to joining CFO Selections, Lori was the VP Finance & Administration at Special Olympics Washington, where she developed financial accountability for all facets of the organization, budget analysis for the sports department, and revenue reporting for special events. She focuses on process improvement, systems integration, and key metrics to achieve organizational goals. 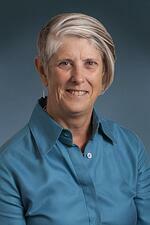 Lori holds a Bachelor of Arts degree in Accounting from the University of Oregon, and resides in Kirkland. Her personal interests include golf, kayaking on Lake Washington, and travel.